The leaves are finely toothed, deeply (three – five) lobed, 2 1/2″ wide – 6″ long, with glandular petioles. The flower sepals are white, and the petals bluish-white, with a lavender, fringed corona of blue-purple, banded with purple. They are approximately 4″ inches in diameter and appear in the spring, summer & fall. The fruit is large, 3 inch, green, and egg shaped becoming fainltly yellowish at maturity. The inside pulpy portion of the fruit is edible. The juice of the pulp is the part used for drinks or frozen ices. Passiflora incarnata is a perennial vine climbing by tendrils, but generally growing prostrate. It is found in the full sun of open woods & old fields. Found throughout the state. In the home landscape it grows in full sun with average moisture. It has a tendency to move around and will pop up in another flower bed besides the one it was planted in. It spreads by underground rhizomes and if planted in too shady of an area will actually move itself into the sun. Most gardeners find it annoying that it won’t stay put where they planted it so keep that in mind when growing this beauty. 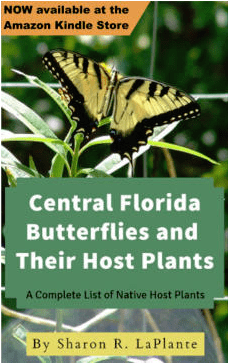 In Central Florida it is a larval food for the zebra longwing and gulf fritillary butterflies. Gulf fritillaries prefer this species over the others because they like more sunshine as does the purple passion vine. Propagation is achieved by transplanting rhizomes, sprouting seeds and rooting cuttings. The rhizomes are generally very deep and break off easily. Sprouts can be up to ten feet apart from each other. Once dug up I prune it into an upside down ‘T’ by cutting the rhizome back to three or four inches on either side of the main stem and then cut the stem down to about ten inches. I generally plant four or five of these pieces in a pot and about half will survive. Be sure to remove all but three of four leaves to help the plant survive the transplant shock. The leaves are entire, wider than long, with shallow lobes (3/4″ – 4″ wide). The stems are remotely to densely pilose, & the petioles do not have glands. The flowers are small, the sepals are green, the petals are yellow-green, and it is 1/2″ to 3/4″ diameter. The blooms appear in the spring, summer, & fall. The fruit is a small berry about 3/8 of an inch in size. Unripe fruit is green and turns to black at maturity. 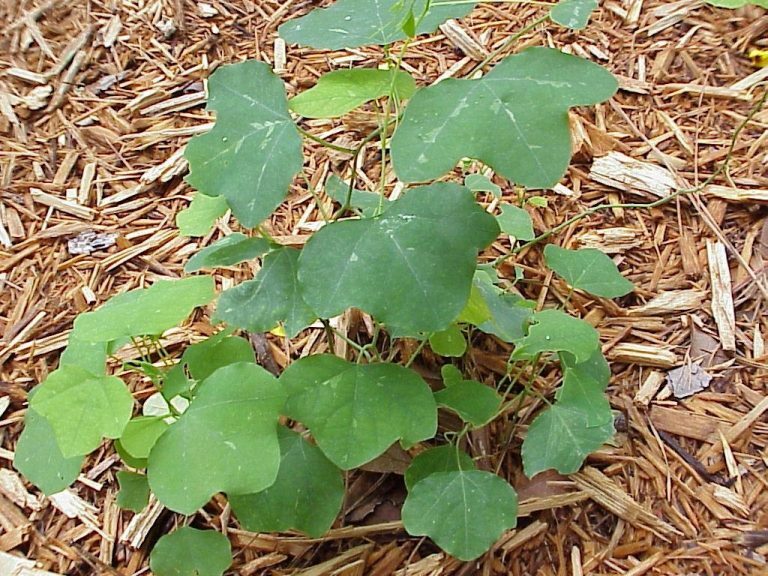 A perennial vine generally growing along the ground. It, like P. incarnata, will move to its preferred location if it is not happy where originally planted. In my experience it seems to move to find a more moist and rich environment, which it seems to prefer. It grows in the part shade of woodlands. It is found growing natually in northern Florida south to Hernando & Lake Counties. In the home landscape it grows in full sun to part shade with average to moist, composted, soils. In Central Florida it is a larval food for the zebra longwing and gulf fritillary butterflies. Propagation is achieved by transplanting rhizomes, seeds and cuttings. The rhizomes are not as deep as the purple passion vine, but will break easily. I generally plant four or five pieces of rhizomes in a pot and about half will survive. Be sure to remove all but three of four leaves to help the plant survive the transplant shock. Is a perennial vine that climbs by tendrils. Its leaves are generally three lobed, but may be completely entire. They grow from 1 ½ to 4 inches in length with glandular petioles. The stem becomes woody and winged with age. What appears to be the flower ‘petals’ are actually the sepals of the flower and are long & greenish white and not showy at all. They are quite small at about an inch in size. It blooms all year. The fruit are small berries that turn a deep purple once ripe. They are only about 1/8 of an inch long. Fruit matures at different times so many green and deep purple fruits are usually found on the plant. It grows in the part shade of hammocks and shell middens in Florida. It is a larval food plant for butterflies. In central Florida it is used by zebra longwings and gulf fritillaries and in south Florida it also includes the Julia butterfly. When starting seeds it is best to soak them in warm water over night. Do not plant them too deeply and be sure to keep them warm and moist. If sprouting in the cooler months use a heating pad underneath and plastic wrap on top to keep in the warmth and moisture. I actually use a large plastic container with a clear lid to keep them warm and moist. Do not let the seeds dry out … frequent mistings of water will help. Also, do not plant the seeds too deeply. My rule of thumb is to plant them as deep as they are wide and just a light sprinkling of soil on top. For more detailed information on corkystem passionflower go to my article – corkystem passionflower. White passionflower (Passiflora multiflora) is found in Dade & Monroe Counties. 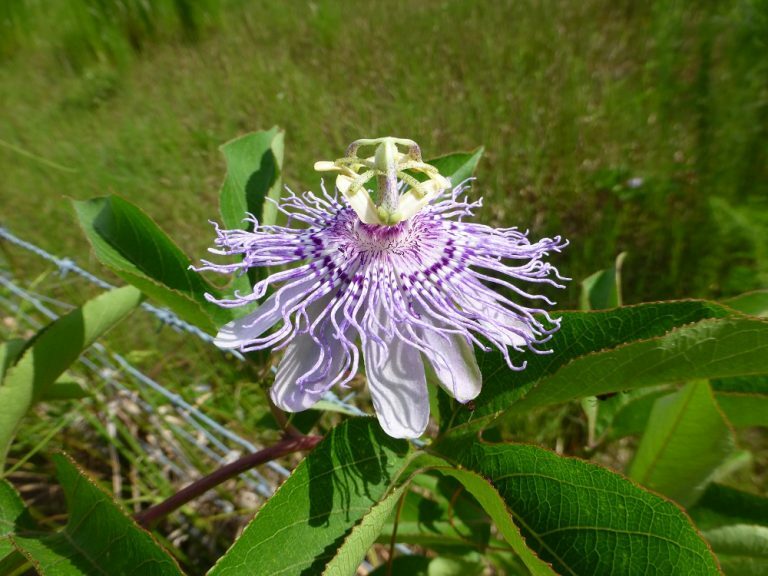 Pineland passionflower (Passiflora pallens) is found in Collier, Dade & Monroe Counties. Goatsfoot (Passiflora sexflora) is found in Dade County. Scarlet passion flower (Passiflora coccinea) is native to South America. Purple granadilla, (Passiflora edulis) is native to South America. 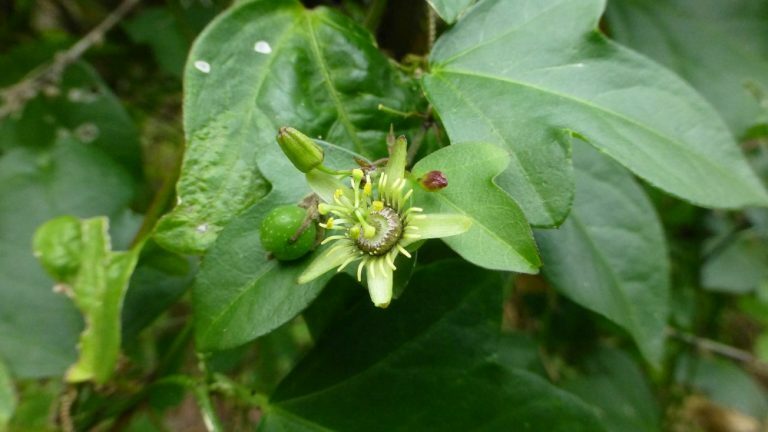 Fetid passion flower, (Passiflora foetida) is native to tropical America.